Join the Five Lakes Silver Band as we wrap up our 2016-2017 Concert Season with a look back at the variety of music we explored this season with our new director, Steven Kandow. 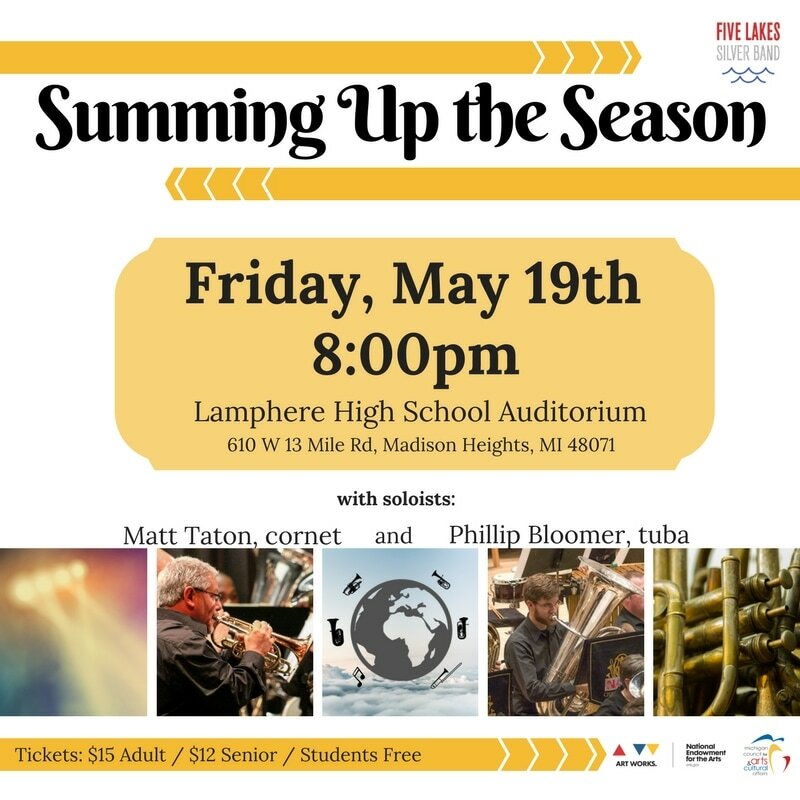 During the concert you'll enjoy music from around the world, the stage & screen, solos performed by band members Matt Taton and Phillip Bloomer, and a NABBA level test piece. If you've never been to a brass band concert before, this is your chance to experience all the different types of music our ensemble has to offer! 610 W 13 Mile Rd.